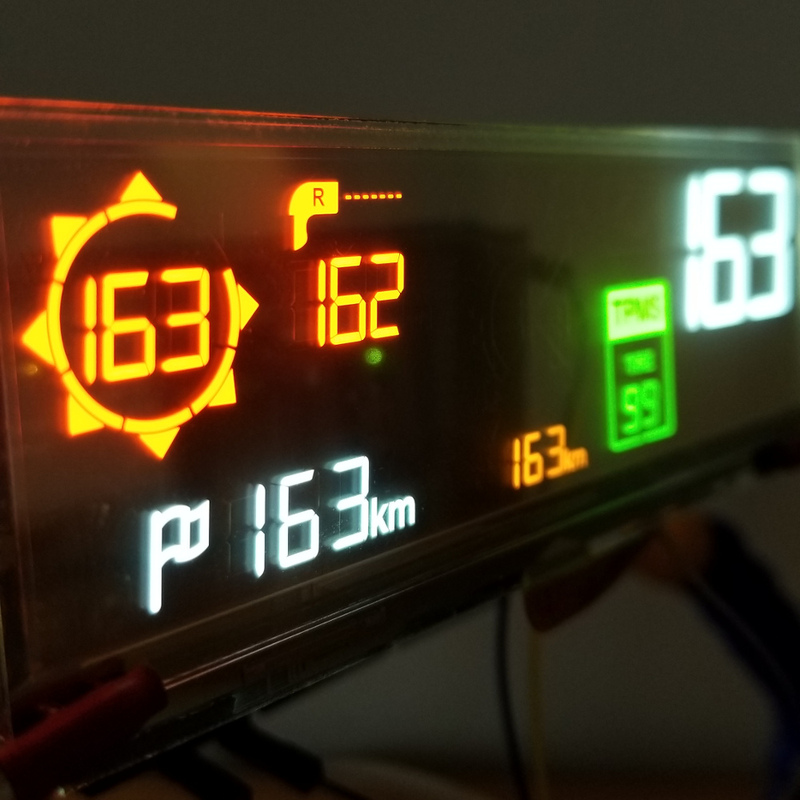 Everyone who sees this display lit up says it looks like something from a sci-fi movie. 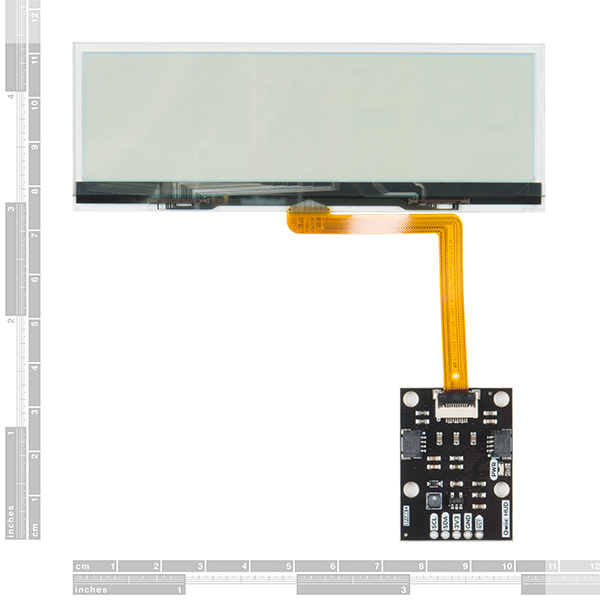 The OLED segments on this transparent display look almost like they’re floating in mid-air! 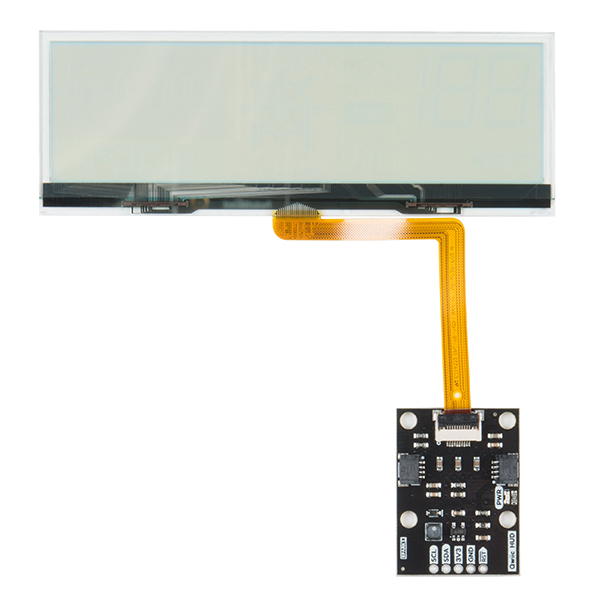 Designed for use in vehicle heads-up displays, this OLED panel is brilliant in the dark but easily visible in daylight. 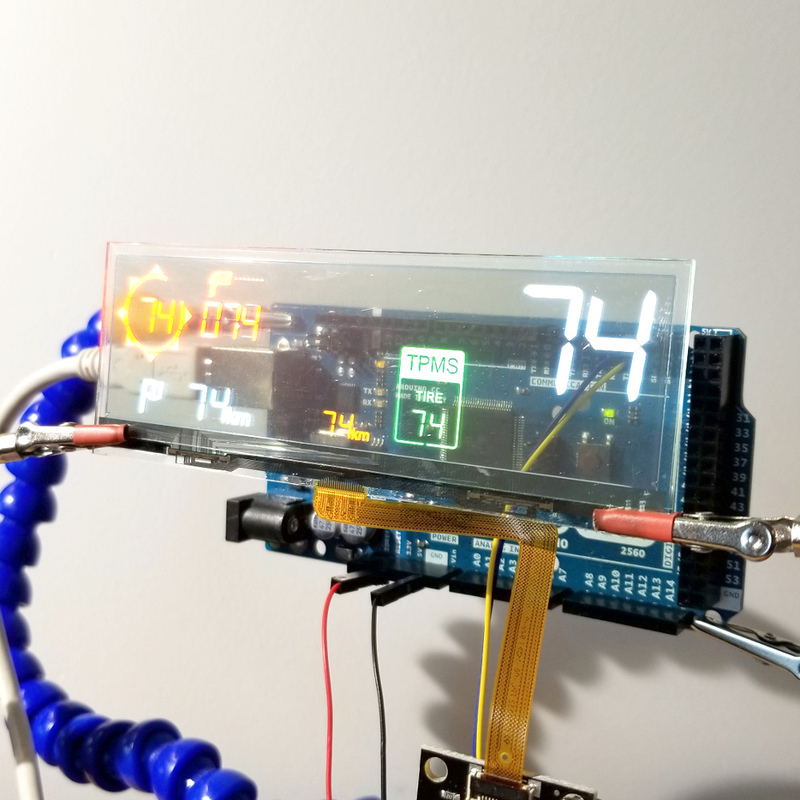 The display is “area colored” meaning that while no one segment can change colors, there are different colored segments on the display. 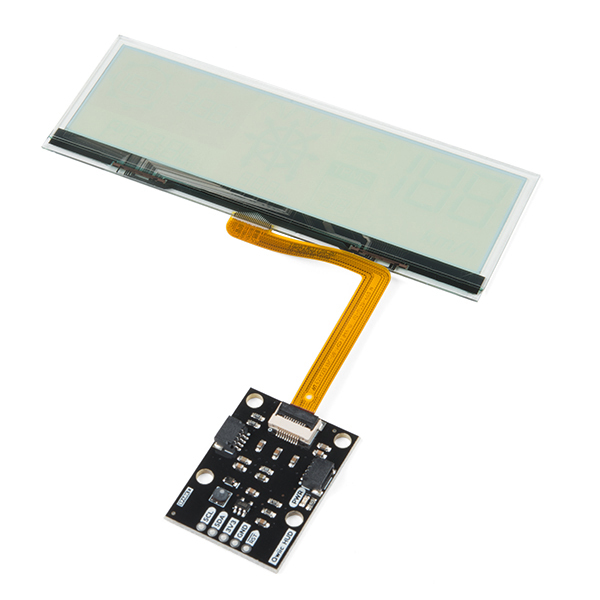 Our Qwiic breakout board allows you to easily control the display using the I²C protocol and includes a voltage step-up to generate the panel’s 12v driving voltage from Qwiic’s 3.3v bus. 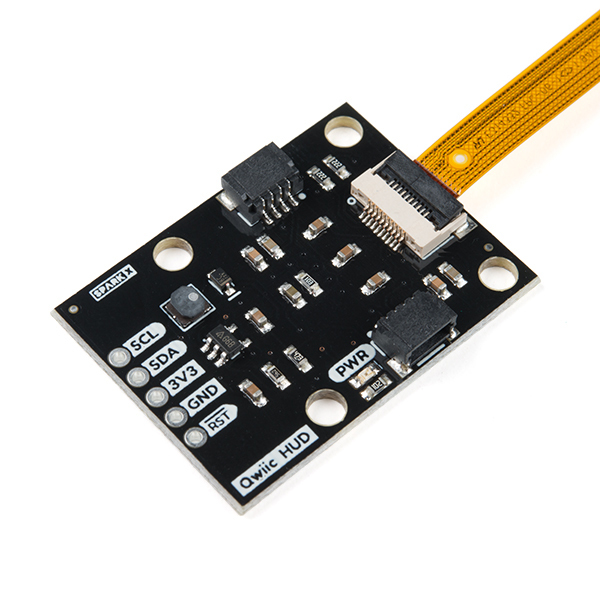 To make things even easier, we’ve thrown together an Arduino library so that doing things like changing the speedometer read out is as easy as calling setSpeedometer() in your sketch.